I love this sweet little gem that we have in downtown Lansing. Gayety's Chocolates & Ice Cream has been in business for 97 years. It originated in Chicago in 1920 and they still make their treats in small batches with high-quality ingredients. The candies are dipped by hand, not machine. One thing that I love about Gayety's that I can't find anywhere else in the area is that they make fresh whipped cream. 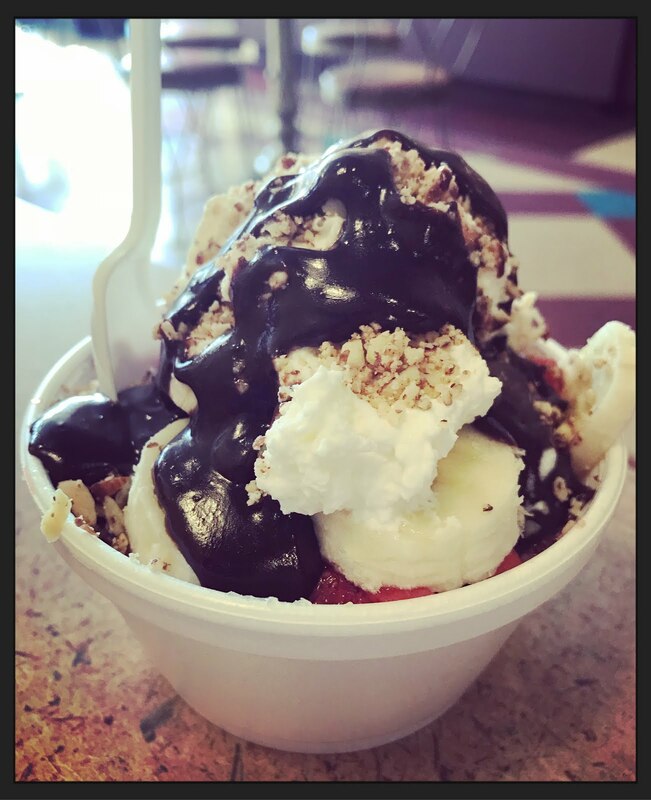 My usual when I stop is the Mini Muddle Sundae, but on my most recent visit with two of my sons and the girlfriend of one of them, I decided I'd get a banana split. You can get a mini strawberry banana split or a mini hot fudge banana split. I couldn't decide, so I paid a little extra and got both. The hot fudge is amazing. 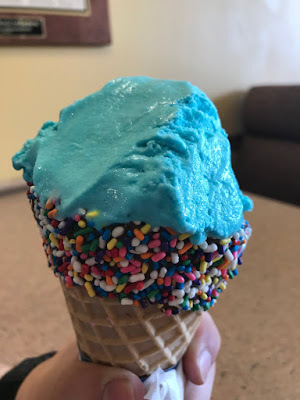 My son loves the Blue Moon ice cream, so he got a couple scoops on a waffle cone with sprinkles. The other two took advantage of "Happy Hour," which occurs each weekday afternoon when you can get milkshakes and malts for half-price. If you have not yet tried Gayety's, it's definitely worth a little bit of a drive to check it out.